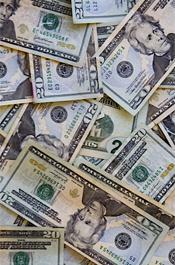 Feds: Man, 20, offered "Legit counterfeit $$"
APRIL 14--A 20-year-old man who allegedly manufactured phony $20 bills in his Florida bedroom is facing federal charges after investigators were tipped to a Craigslist ad he placed offering “Legit counterfeit $$,” according to court records. 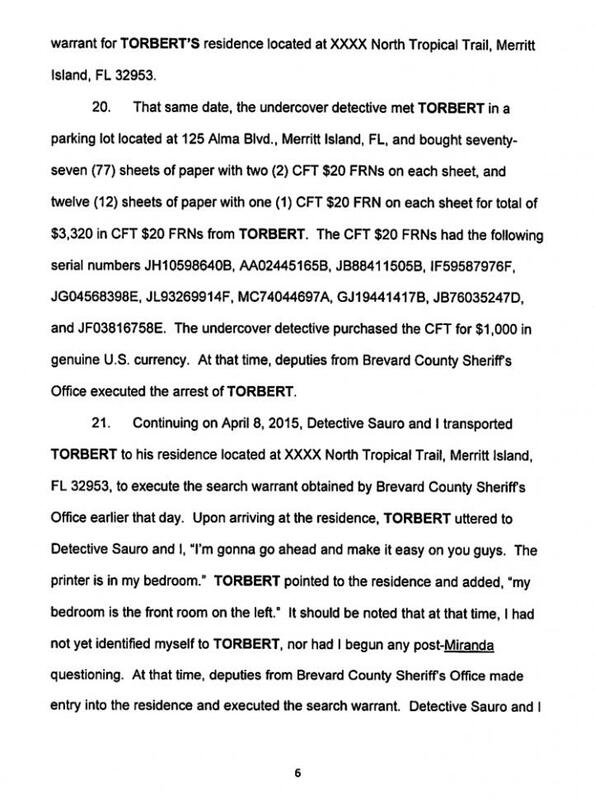 Tony Torbert is accused of running his counterfeiting operation from his family’s Merritt Island home, where agents last week seized an HP inkjet printer Torbert said he used to create the fake bills. 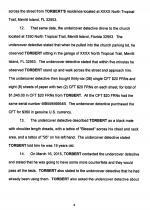 When investigators arrested Torbert, he said, “I’m gonna go ahead and make it easy on you guys. 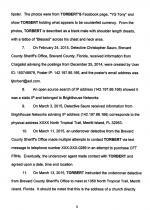 The printer is in my bedroom,” according to a U.S. District Court complaint. 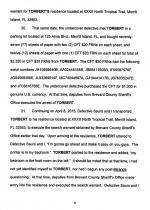 Seen above, Torbert told agents that he worked alone and had been making counterfeit currency “since he was in high school.” Torbert estimated that he had produced $20,000 in phony bills over the past few months. 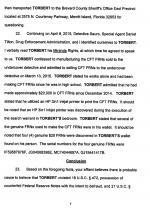 Investigators allege that Torbert sought to move his fake paper via Craigslist posts advertising “Legit counterfeit $$. 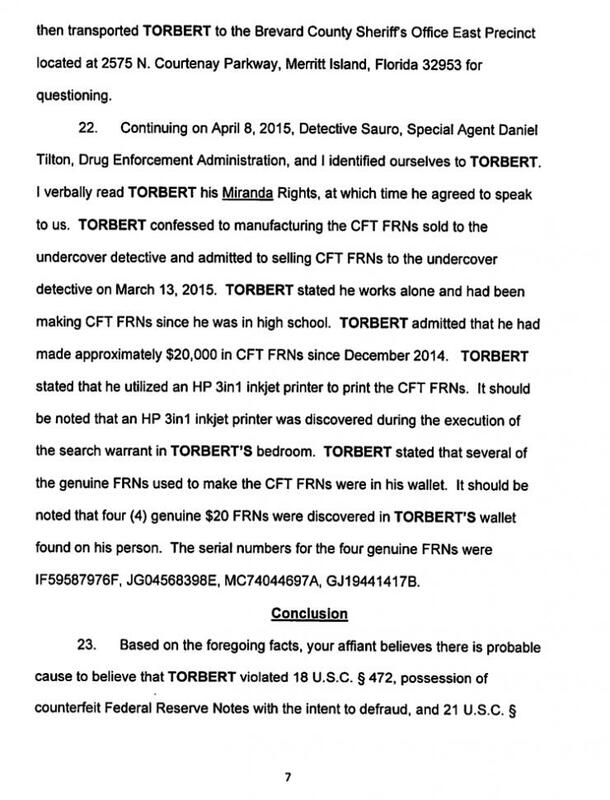 Serious customers only contact me.” Along with his phone number, Torbert noted that the the lowest price he could offer was $1500 for $5000 in fake currency. 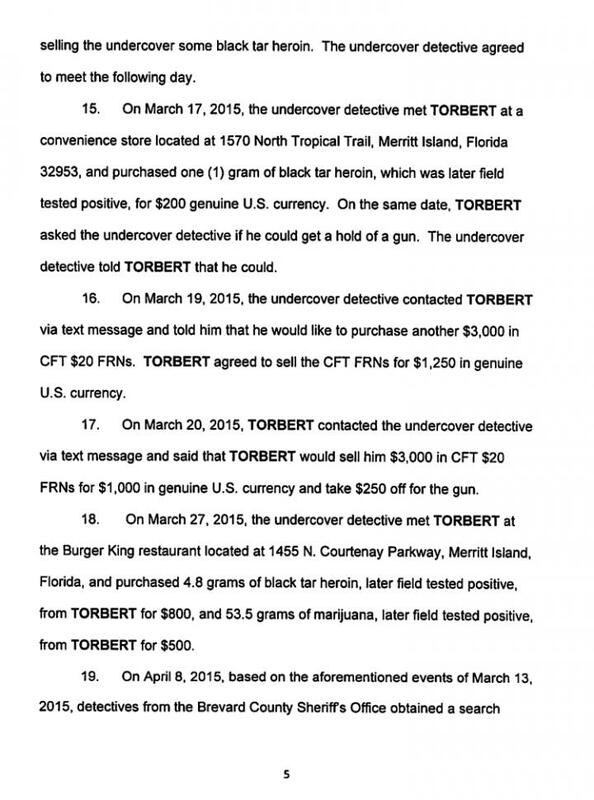 After being tipped to the Craigslist ads, police arranged a series of buys from Torbert, who sold an undercover detective counterfeit bills, black tar heroin, and marijuana. 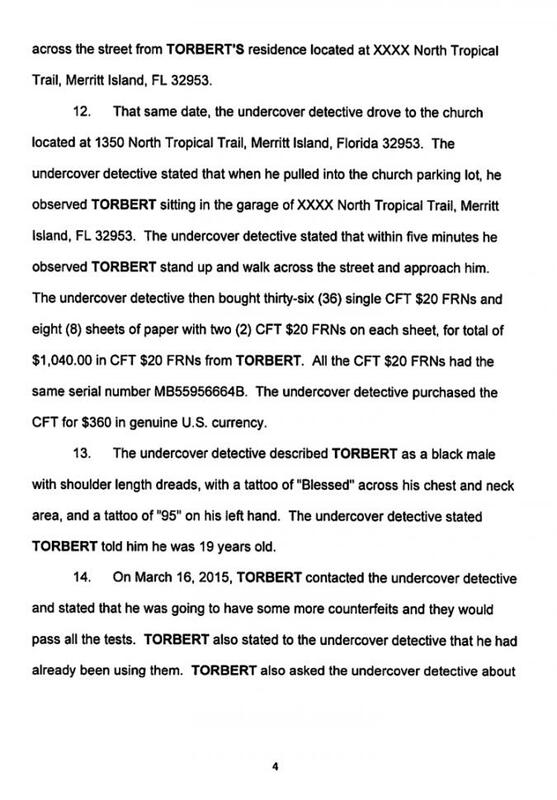 The cop’s first buy from Torbert occurred in the parking lot of a church directly across the street from Torbert’s home. 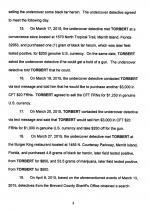 During a subsequent meeting, Torbert asked the undercover agent whether he could obtain a gun for him. 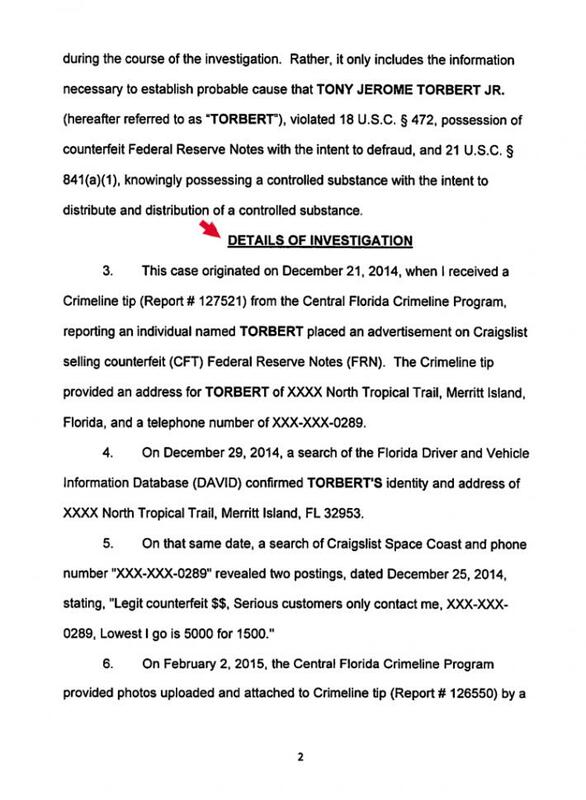 In addition to hand-to-hand transactions, Torbert was apparently eying an online business expansion. 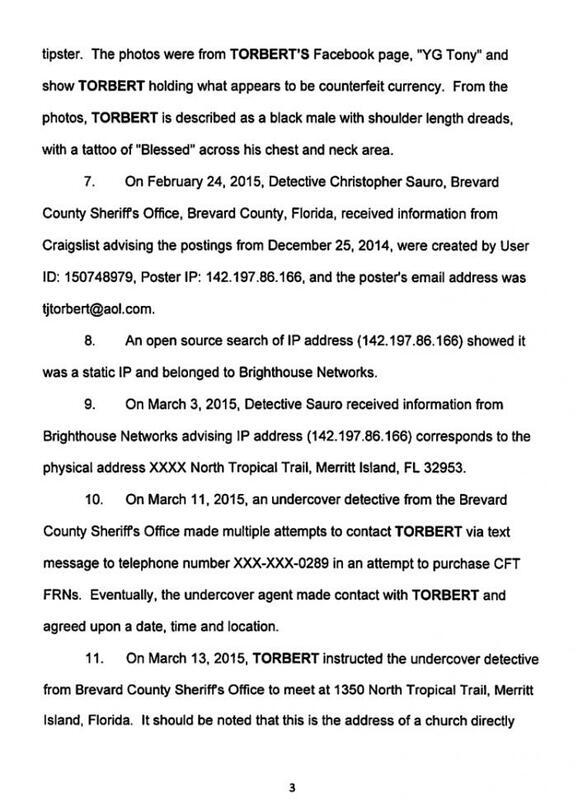 In a January post to Reddit’s “Money" subreddit, he asked, “Can anyone help me get to the dark web or black market reloaded will pay cash.” He included the same cell phone number that was listed in the Craigslist ads. 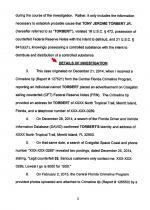 Black Market Reloaded was one of several popular marketplaces on the so-called dark web, where narcotics, weapons, counterfeit currency, fake IDs, and other illegal items were sold by vendors.